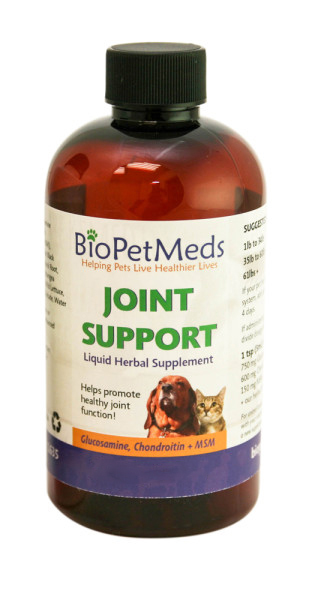 Our Joint Support Liquid Herbal Supplement is a potent combination of supplements known for their ability to relieve the pain and inflammatory symptoms of arthritis and joint discomfort. The herbs in the formula are chosen for their ability to soften the plaque build up around the joints, thus relieving pain and increasing ease of movement. Because it is a liquid, the absorption rates are superior to those of tablets and capsules. Customers report results in 10-14 days! If your pet has no glucosamine in it’s system, add an extra tsp for the first 4 days. If administering more than 1 tsp a day, divide dosages between AM and PM. For animal consumption only. Consult with your veterinarian before introducing a new supplement.